Kite is the very first Hunter introduced in the story. He is a disciple of Ging Freecss, Gon's father. After saving Gon from a foxbear on Whale Island, Kite revealed to him the truth about his father. Before he took his leave, Kite left Ging's Hunter License in Gon's hands. After leaving Greed Island, Gon runs into Kite again, while he is in the middle of a zoological survey, searching for new species, in the country of Kakin. At the time, he was leading a team of young would-be Hunters, seven children named Banana Kavaro, Lin Koshi, Monta Yuras, Podungo Lapoy, Spinner Clow, and Stick Dinner. 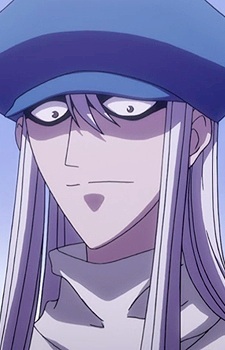 Kite is killed by Neferpitou, but is soon rebuilt into a manipulated puppet to train the ants. He is later captured by Knuckle and Shoot.